The scope of our service offerings ranges from full-service emergency disaster restoration to regularly scheduled cleanings. Thanks to the experience and skill sets of our highly trained technicians, we can assist you in any situation. Through the use of our industry-leading procedures and state-of-the-art equipment, we ensure a quality result. To make use of our services, simply contact our representatives at (631) 206-6808. We are available 24 hours a day in the case of emergencies, and look forward to assisting you in your time of need. There are a number of events that can lead to water damage in Babylon, NY (such as blizzards, severe storms, burst pipes, leaks, overflows, sewage backups, etc.). No matter the cause, our water damage restoration services here at RestorationMaster will return your property to its original condition. We respond as swiftly as possible to give your building and its contents to greatest odds of avoiding permanent damage, and making a speedy recovery. RestorationMaster is an industry leader when it comes to quality flood damage restoration services. Our technicians understand the inherent risks of standing water (such as warping, discoloration, permanent damage, mold growth, etc. ), and work swiftly to eliminate them. 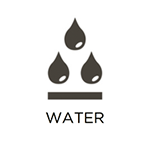 By utilizing professional-grade water extraction and drying equipment, we will remove excess water and moisture. We will then restore and sanitize affected areas and belongings. We offer this service to property owners in Babylon, NY. Property owners across the country are aware of the devastation that fires can cause. 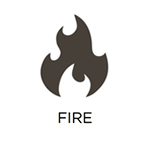 At RestorationMaster, we provide complete fire damage restoration services to property owners in Babylon, NY. Through these comprehensive services, we help homeowners and business owners recover from the destruction of fires. Our highly trained technicians will respond quickly to provide emergency cleaning services, and prevent permanent damage. We will then work to restore and sanitize all affected areas and belongings. Our experienced technicians at RestorationMaster are uniquely trained to locate and eliminate harmful smoke and soot leftover on your property from fires, furnace puffbacks, and similar events. If left untreated, these airborne elements can cause etching, discoloration, and corrosion of various building elements and items. Through our smoke and soot puffback cleaning services, we make use of specialized equipment and methodologies to eliminate these risks, and return your property in Babylon, NY, to normal. 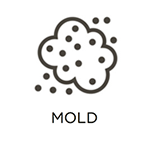 Regardless of whether you are a homeowner or business owner, the effects of mold on your property can be extraordinarily harmful. It has the potential to cause a number of health complications for those exposed, and can even result in permanent damage to your belongings and structural elements of your building. At RestorationMaster, we provide full mold remediation services to eliminate all traces of mold from your property in Babylon, NY. We do this through specialized mold identification equipment, as well as time-tested removal procedures. We encourage homeowners and business owners in Babylon, NY, to take advantage of our content cleaning and pack-out services following major property damage. This is because we offer 24 hour emergency response capabilities to give your items the greatest odds of being fully restored, and give you flexibility if it is unsafe to repair belongings on-site. At RestorationMaster, we can ship your building’s contents to our secure facilities for restoration and storage services. You will have a full inventory of shipped items, and they will all be delivered to your door when your building is safe and stable. Because your HVAC system is designed to circulate air throughout your building, its components can become filled with dust, dirt, pollen, and other allergens. This can result in worsening allergies and even higher electric bills due to a decrease in your system’s ability to heat and cool your building. At RestorationMaster, we provide comprehensive air duct cleaning services to eliminate these risks and more. We offer this service to homeowners and business owners in Babylon, NY. Carpeting is a prominent feature of homes and businesses alike. This can work to your advantage, or serve as a detriment. At RestorationMaster, we provide professional-grade carpet cleaning services to ensure the former. We make use of specially designed equipment and procedures to remove even the toughest of stains and debris from your carpeting. When we finish our services, you will be left with a carpet that looks as good as new. We offer this service to property owners in Babylon, NY.